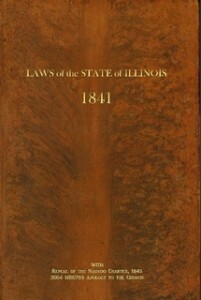 Record of the 12th General Assembly of the State of Illinois. This record contains the Nauvoo Charter, Incorporation of the Nauvoo House and the University of the City of Nauvoo. This The Nauvoo Press reprint edition also includes the repeal of the City Charter in 1845, as well as the official Illinois Apology to the Latter-day Saints in 2004.